Planning on catching a film this weekend? Then you might like to know that Reel Cinemas have launched Dhs30 tickets at their boutique Rove Downtown location. The boutique cinema will offer tickets for Dhs30 for a limited-time only to UAE residents, so you’ll need to act fast if you want to avail the offer. Tickets for the boutique cinema are usually Dhs45, with an array of blockbusters showing currently. 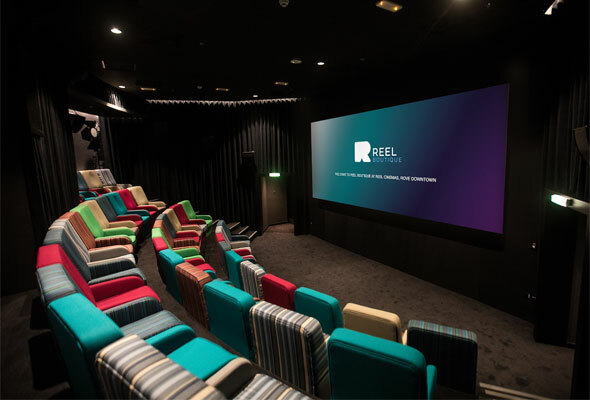 There’s only one screen with an intimate 46 seats upholstered in a kaleidoscope of colours, and it shows a range of blockbusters and regional films each day. At the moment, you can see Destroyer, starring Nicole Kidman and Replicas, starring Keanu Reeves. It’s worth noting the cinema is open to all ages before 7pm, but it’s 21’s and above afterwards. In addition to all-time favourite movie munchies like popcorns, Reel Boutique also offers a selection of food and drink choices which include licensed beverages – all delivered to your seat. And if it’s cinema you’re after, why not check out our guide to Dubai’s brilliant outdoor cinemas. Just be sure to wrap up warm – it gets cold at night! Reel Cinemas, Rove Downtown, Downtown Dubai, various timings, limited time, Dhs30. reelcinemas.ae.